Independent film “Magtiwala Ka: A Super Typhoon Yolanda Story” immortalizes Globe Telecom’s disaster relief and recovery efforts during the worst weather disturbance in Philippine history which wreaked havoc in the lives of many Filipinos especially in Eastern Visayas. 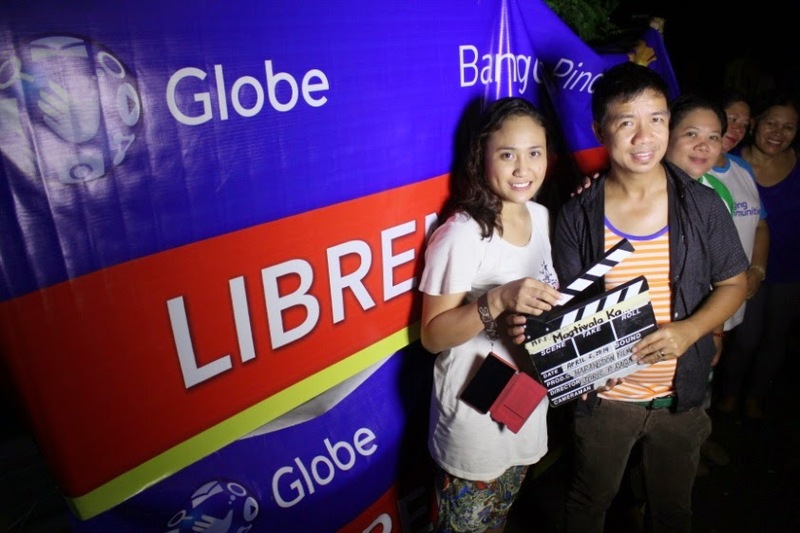 Behind the scenes with Direk Joric Raquiza and actress Dhen Banez during the Globe Bangon Pinoy sequence for "Magtiwala Ka". “The devastation left by Typhoon Haiyan last year called for swift response. This movie, in a way, pays tribute to the dedication of Globe employees who lent time, money, and effort to reach out to those affected by the disaster through distribution of relief goods and provision of telecom services such as Libreng Tawag, Libreng Charging, and Libreng Internet. Even up to this time, the company continues to actively aid in the country’s relief and rebuilding efforts via its Project Wonderful program,” said Yoly Crisanto, Globe Senior Vice President for Corporate Communications. “Magtiwala Ka” depicts actual video footages of the typhoon’s aftermath especially how relief distribution was conducted amidst the people’s struggle to meet their basic needs such as food, water, and shelter. Starring Keanna Reeves, the movie tackles the travails and hardships of a Yolanda survivor and how she was able to rise above the challenges. Inspiration for the film stems from the actual experience of Director Joric Raquiza who also lost a home and a resort he saved up for so many years. “For me, it’s only a material loss. I am grateful to God that my family is still alive. I would also want to thank the people who endorsed this film and believe in it,” he said. The movie is presented by Globe and will be shown on July 16 at SM Cinemas, Robinson’s Movieworld, and Ever Commonwealth and Ortigas theaters. Advanced screening will be held on July 14.